It was bound to happen. The boxing world isn’t big enough for two of its brightest stars to simply exist without eventually running into one another. A few weeks back, Freddie Roach -- who trains Manny Pacquiao, Amir Khan and an assortment of others stars -- admitted that there was a chance that Pacquiao and Khan could meet up in the ring at some point. This admission was interesting because it directly contradicted what he had said when asked about a potential bout between the two men in the past. Before, mind you, Roach referred to both Pacquiao and Khan as his sons and said that the two of them fighting would be hard for him to watch. It was one of those signature moments of Freddie Roach realness that he’s become renowned for over the years – and one that kind of put the notion of a potential Pacquiao vs. Khan bout to rest. More recently, however, the famed trainer submitted that a match between the two men wasn’t out of the question and, in fact, was beginning to cause a bit of stir in their respective camps. Pacquiao’s people, specifically, asked for their guy to not have to spar against Khan anymore so as to not give him any insight on the Filipino champion in the event that they ever had to participate in a match against one another. Khan’s camp obliged the request. It’s also worth noting, by the way, that even though Roach refers to both men as his “sons” he has come out, on record and said that he would be in Manny’s corner if the two ever fought. During a recent interview with Bolton News, Khan confessed that a certain tension has been developing between his camp and Pacquiao’s. Is Pacquiao’s camp panicking a bit? It sure seems that way. It seems as though they view Khan as a very viable and legitimate threat – and therefore want to avoid giving him any insight into Pacquiao’s regimen. So what does this mean for boxing fans in general? It means that another potential blockbuster may be on the agenda. That if fans wait it out and suffer through what promises to be a painstakingly dull match-up between Pacquiao and Juan Manuel Marquez, they may be rewarded with a legitimate interesting fight down the road. 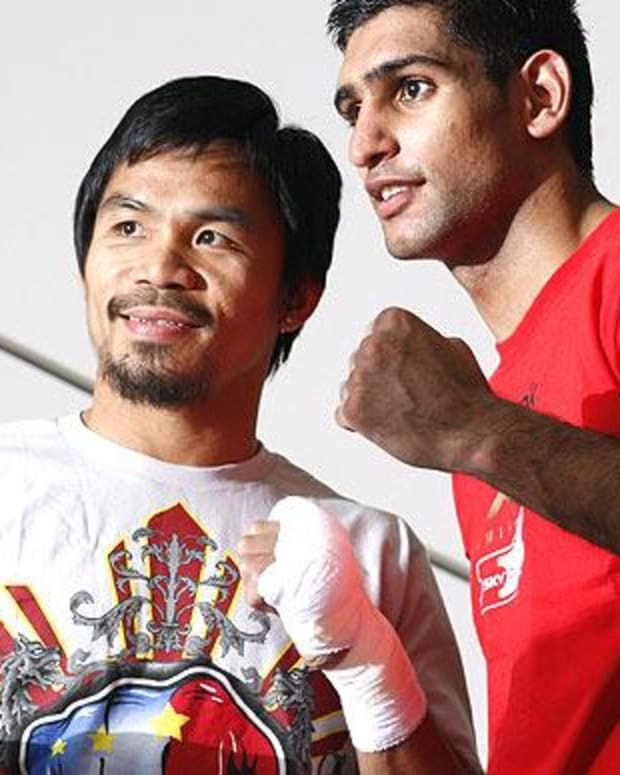 Will Pacquiao vs. Khan ever actually happen? 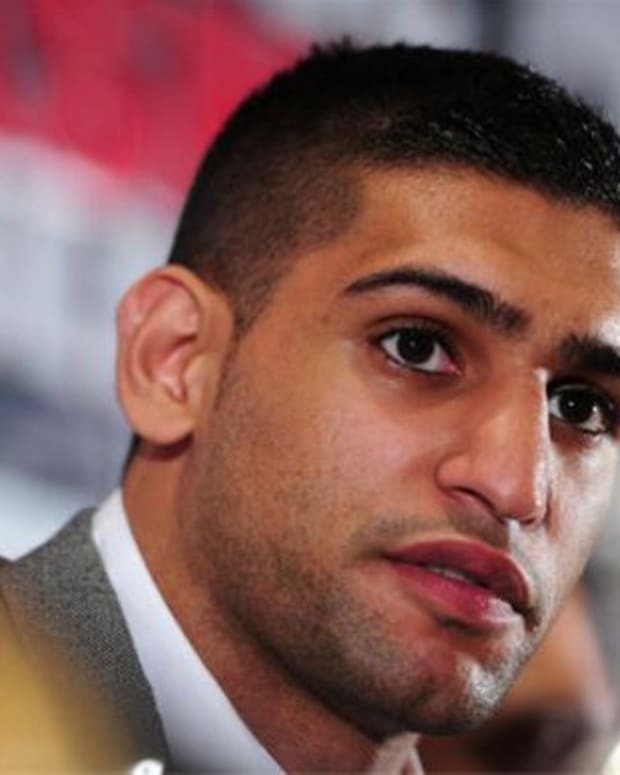 Manny Pacquiao vs. Amir Khan Suddenly a Possibility? Is Freddie Roach Pushing for a Manny Pacquiao vs. Amir Khan Fight? Is Manny Pacquiao vs. Amir Khan Just a Pipe Dream?